Posted April 26, 2011 by grohling & filed under Archive. Due to a very high level of interest, our first tour to Prodrive on 28th April filled up almost straight away so we have decided to arrange a second tour on 21st May. If you were disappointed, we hope you will be able to make the next date which we have chosen to be on a Saturday to maximise the possibility you can attend. Prodrive is one of the world’s largest and most successful motorsport and vehicle technology businesses with annual sales of £100 million and employing more than 500 staff in the UK, India, Australia and China. 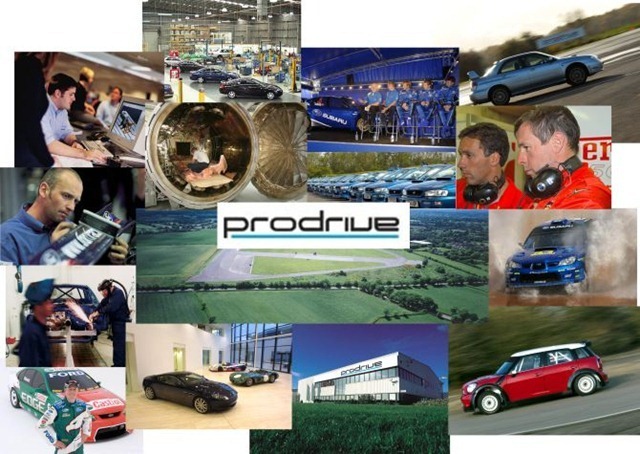 In the UK, Prodrive has manufacturing facilities and offices based in Banbury, Warwick and Milton Keynes. Our tour will start with coffee in the Prodrive Heritage Centre where we will be able to view race and rally cars from Prodrive’s 25 years in world motorsport which have included such greats as Richard Burns and Colin McRae. There will be opportunities to see the manufacturing facilities including rally car transmission, engine build and dynos – see what it takes to make an £80,000 gearbox! We will tour the workshops where they build Mini rally cars and other high-performance vehicles including the Aston Martin GT1, GT2, GT3 and GT4. There is a charge of £8 for BCS members and £13 for non-members which is a heavy discount from the normal cost of such a tour. Please note that the second tour will only run if we receive sufficient interest. So, book now to secure one of the limited number of spaces and avoid disappointment! Follow this link to the Prodrive Web site for a map and directions to the Banbury location. Emergency contact for the morning call 07801 354639 to reach a BCS committee member. Full refunds will be issued if a cancellation is received by 12pm on Friday 13th May 2011, name substitutions will be allowed after this date. Bookings close 11:59pm on Thursday 19th May 2011.